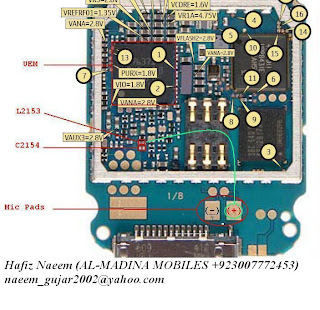 Nokia 3220 microphone problem can be caused by any reasons, but generally caused by hardware damage. 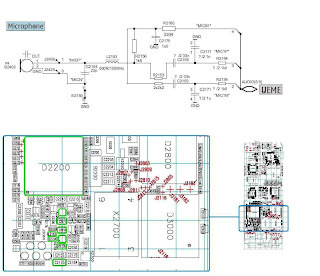 The first step to analyze this problem of course checking the mic, if it still in good condition, then we have to check the microphone circuit, is it a broken path? Finally, the circuit direct to UEM IC, if there are no broken line, no damaged part in the circuit, it mean the problem occur on the UEM. 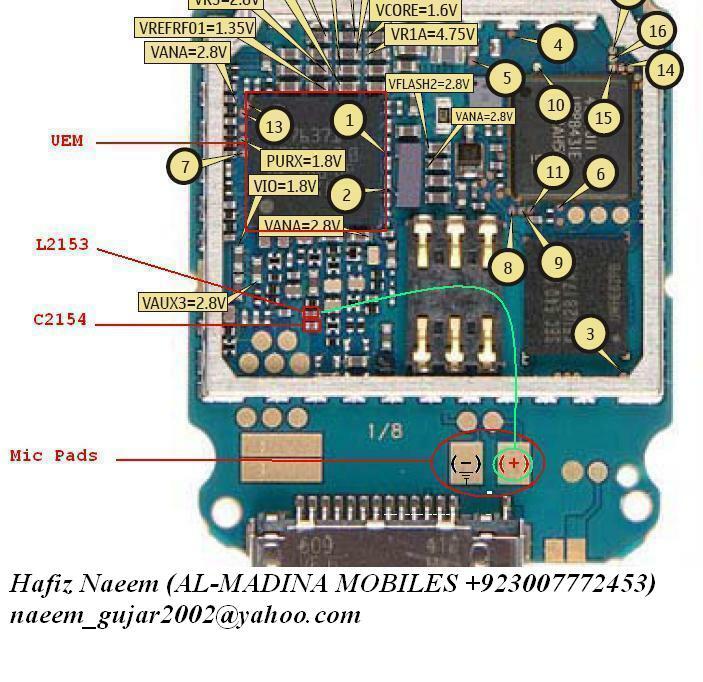 Here we provide the pictures guide related to Nokia 3220 microphone problem.